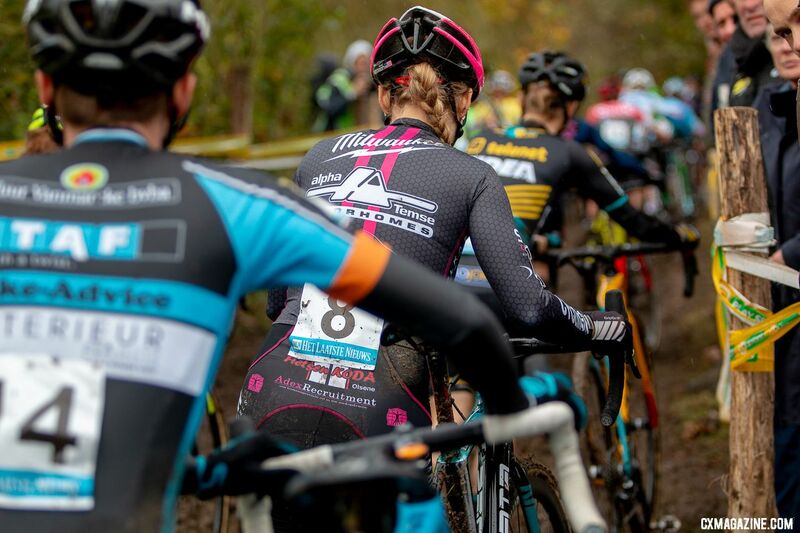 Belgium-based American Elle Anderson (Milwaukee – Alphamotorhomes Cycling Team) has been a mainstay on Team USA at the UCI Cyclocross World Championships since her breakout 2013/2014 season. In her Worlds debut in 2014, she finished an impressive 15th, and since has been top twenty every year except 2016. Last year, in Valkenburg, Anderson finished eighth, her best-ever finish on the world’s biggest stage. 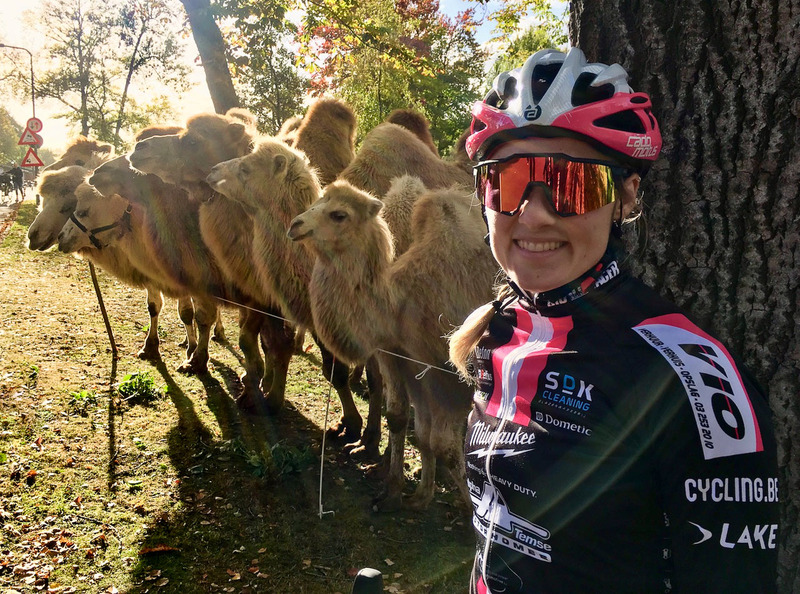 This year, despite skipping Nationals for the second year in a row, with strong early-season results, Anderson made the Worlds team once again, but her mid and late-season form left her searching for answers. 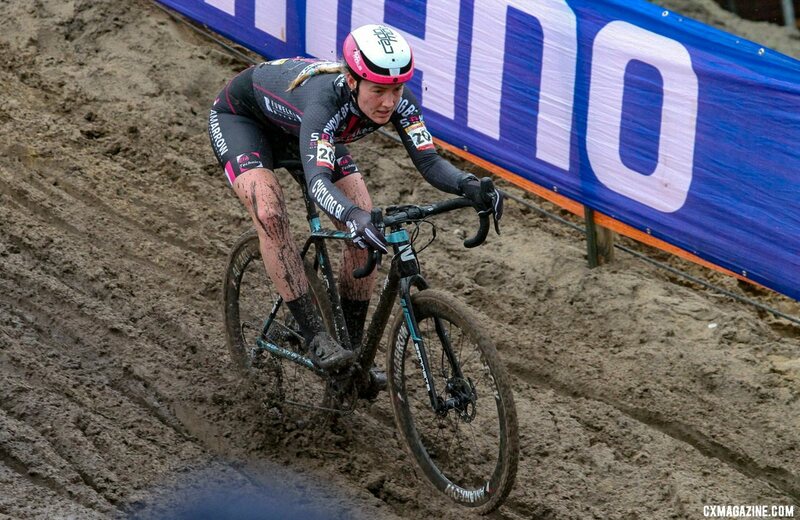 Now she finally has the answer, and it’s a disappointing one that forces her to skip the 2019 UCI Cyclocross World Championships in Bogense. 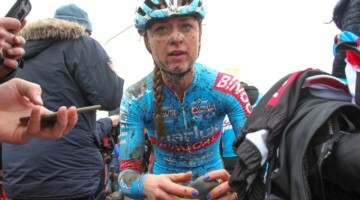 Anderson told Cyclocross Magazine that she will not be able to start at World Championships in Bogense this Saturday. Anderson joins injured Magnus Sheffield as two late scratches from the U.S. Worlds team. In her words, here’s an update on the unfortunate news from Anderson. We wish her a speedy recovery. This season started just fine, like many others. 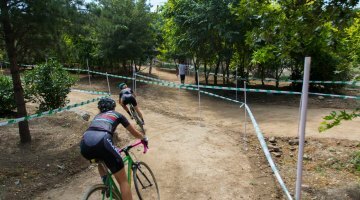 The U.S. World Cups were a blast, as I love getting my tiny dose of American ‘cross before heading back to Belgium for the season. October flew by in the best way: fun and very fast races with the world’s best and a decent number of results I was satisfied with. Getting a top-10 in Europe is more challenging than ever these days with the competition in the women’s races heating up. I was so consistent that the Belgian TV announcers called me out on it, mentioning my usual 10th place finish. Then November hit like a ton of bricks. I thought I was just tired, and that it was normal seeing as I had been racing a lot. Maybe I was racing too much? Or my openers the day before a race were too intense? Particularly, on day two of a double weekend, I would wake up totally smashed, like I hadn’t slept or recovered at all. But I would truck myself off to the races and start anyways, no matter how awful I felt. 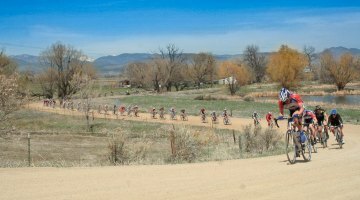 At the finish line, I was left to wonder what had happened between day one and day two of the weekend that made such a difference. To be completely honest, I blamed myself and figured I was just mentally cracking under the pressure to perform at the races. In December I was relieved to escape Belgium for some “easy” races in Spain and France. I aimed for some easy podiums and points-hunting. Instead, I struggled during the races feeling like I was running on fumes, missing the podium by minutes. 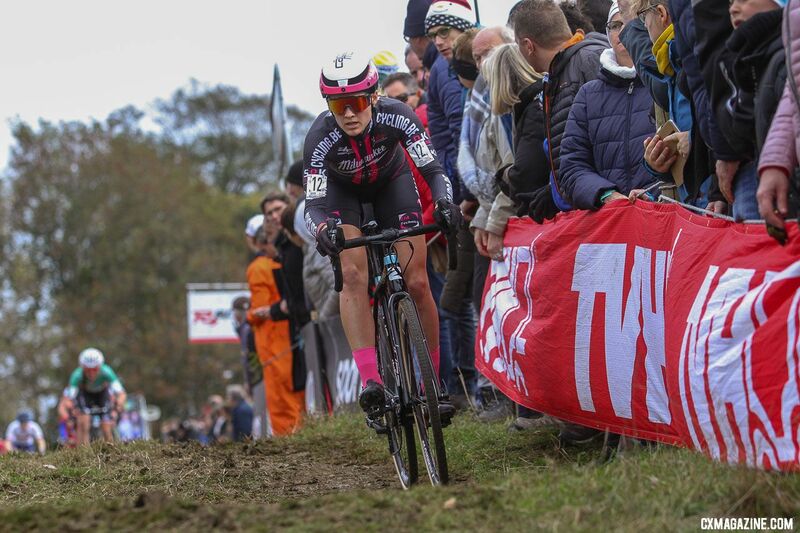 So, I took the weekend of U.S. National Championships off, skipping the planned Superprestige Zonhoven. I put in some good training and headed into the Christmas block optimistic. 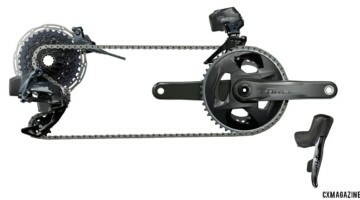 But the mysterious fatigue I felt in the races didn’t let up and only got worse. 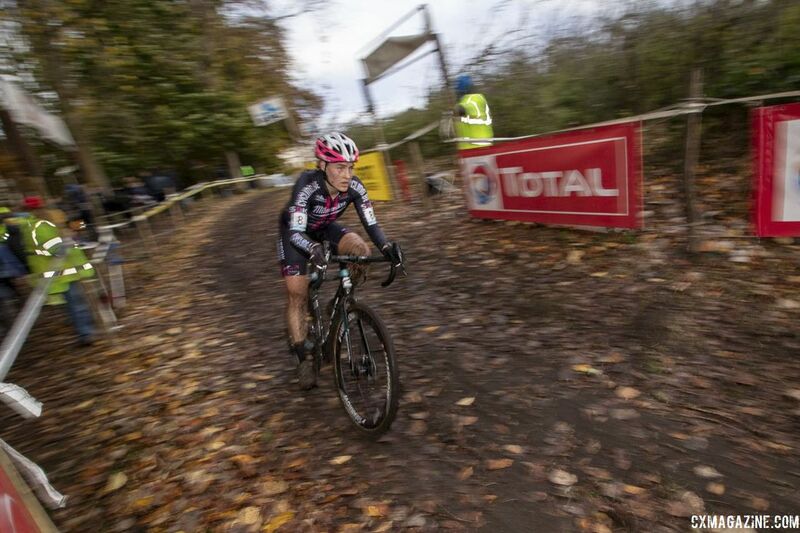 I more than doubled the number of minutes I’m usually behind in the December World Cups in Belgium. I had to use immeasurable mental strength just to get the finish line, willing my legs to keep moving. Four weeks after this news, I still don’t know how to process that I had mono all along this season. In retrospect, I can’t believe I pushed a sick body to the limit, week after week, without knowing what was wrong and blaming myself. In January, I decided to give myself one last shot to recover enough strength to race Worlds. According to the blood results, the “peak” of my illness was already in the past and recovery was underway. I’m glad I gave it one last shot. These last weeks I’ve trained harder than ever, dreaming of the chance to rescue my season, to make it to Bogense, and to finish on a positive note. 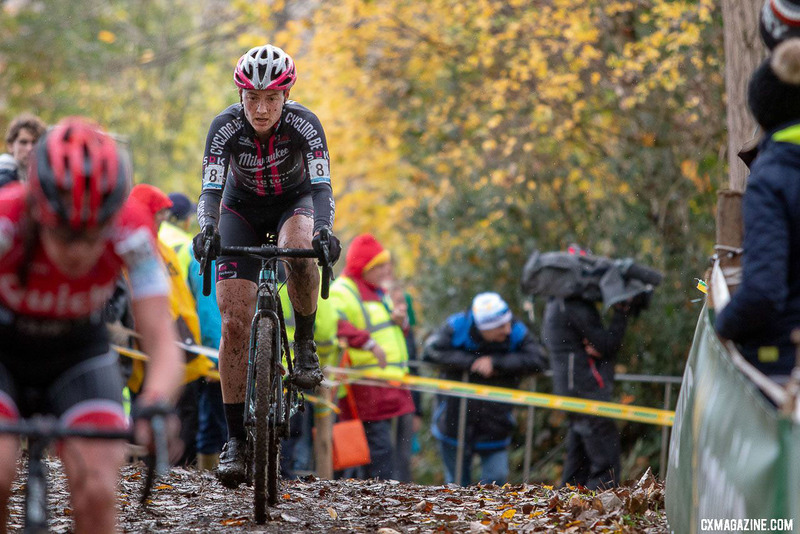 Unfortunately, my performance from this past weekend in Hoogerheide speaks loud and clear. I’m not healthy and it’s about time that I listen to my body. The World Championships is such a special event and I would give anything for the chance to better my 8th place result from last year. But after all that I’ve been through this season, the World Championships is not a box to check off from a participation point of view. Worlds is the culmination of an entire season of hard work, and I expect to be at my best. Far from that, right now I only feel tired, deeply tired. It’s time to focus on next season. I’ll be cheering loudly and ringing cowbells for Team USA from the couch this weekend. Good luck to all! Look forward to watching your crush em next season!! !